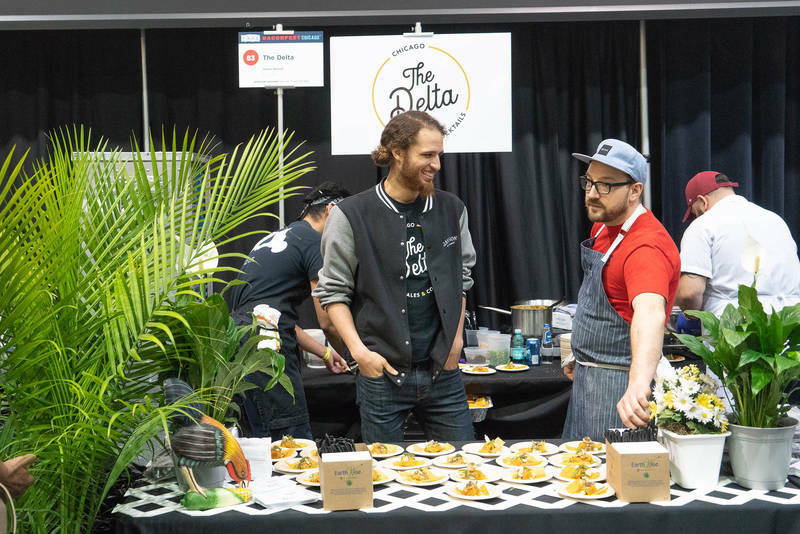 Although Nashville is roughly 450 miles South of Chicago, the two cities have never felt closer thanks to a recent uptick in restaurant expansions and chef movement. The draw for Chicago restaurants and bars to branch out to Nashville, essentially the closest Southern city to the Midwest, is multifaceted. Not only are the rents cheaper and the land much more spacious, but burgeoning neighborhoods and a hungry, excited clientele make for a veritable blank canvas for creativity. Here are some of the latest examples of Chicago’s unique—and ever-widening—connection to the Music City. Headquarters Beercade: Nashville’s most recent Chicago import, Headquarters Beercade brought its famed mix of vintage arcade gaming, crafty cocktails and elevated bar fare to Broadway. 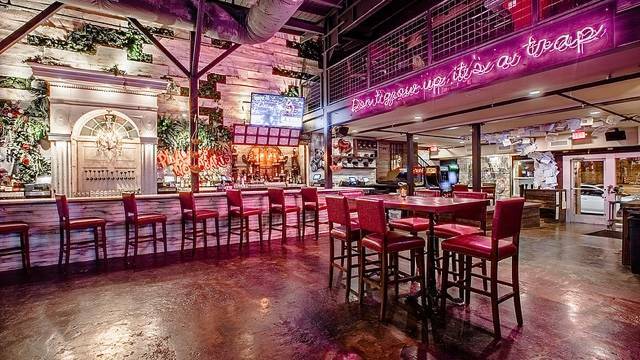 The expansion marks the first Nashville locale for Machine Hospitality Group, which owns Headquarters, who’ve tapped Zach Rivera and Scott Donaldson to helm the beverage program and food menu, respectively. This includes 35 seasonally changing beer cans, 12 draft beer handles and nostalgia-inspired cocktails like the Mott’s, made with Stoli Apple, cinnamon applesauce and lemon juice. For food, Donaldson pays homage to Headquarters origins with an Italian beef sandwich, plus corndogs with sriracha cream, spicy buffalo cauliflower and lots more. Then there’s the 30-plus free arcade and pinball games, spread over 5,000-sq.-ft. of space, outfitted with comic books, vintage mirrors and more Chicago touches like antique newspaper stands. 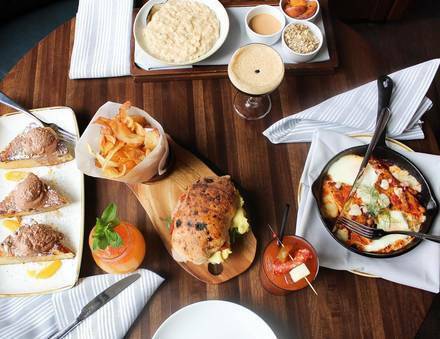 Sunda: One of Chicago’s most prolific and perpetually popular restaurant and bar groups, Rockit Ranch Productions, chose Nashville as their first foray outside the Second City. The group is keeping busy with a targeted fall debut for a Nashville outpost of Sunda, its wildly popular modern pan-Asian restaurant known equally for sushi and celebrity sightings. Sunda’s current chef de cuisine and partner Mike Morales will serve as the new location’s executive chef, and Rockit Ranch CEO Billy Dec aligned with Nashville’s Fresh Hospitality for the project. Sunda-lovers can expect a, 8,000-sq.-ft. space in The Gulch neighborhood, with many of the same dishes and drinks—like lemongrass beef lollipops, miso-glazed cod and tuna truffle nigiri—that helped cement the restaurant as a Chicago fan favorite. Parson’s Chicken & Fish: Another one of Chicago’s most popular restaurant and bar groups, Land & Sea Dept., has also targeted Nashville for its first expansion outside Chicago. The bar in question is Parsons’ Chicken & Fish, Logan Square’s perpetually packed patio haunt famed for its fried chicken and Negroni slushies. It’s headed to Wedgewood-Houston in the fall, bringing its people-pleasing blend of booze, comfort food and al fresco lounging in a space with enough room for 200 diners. When it debuts later this year, it’ll be in good company too, part of Nashville’s forthcoming May Hosiery development where an outpost of New Orleans’ St. Roch Market food hall is also taking shape. Nicky’s Coal Fired: Among Nashville’s newest and most exciting entries is hot in more ways than one. Recently opened in The Nations neighborhood, another up-and-comer on Nashville’s cultural and dining scene, Nicky’s Coal Fired is a restaurant with a palpable Chicago connection. The husband-wife duo behind the restaurant, Tony and Caroline Galzin, made names for themselves in Chicago restaurants for years, working at places like recently shuttered mk The Restaurant, Le Colonial and Leopold before decamping Tony’s hometown for Southern pastures. Partly inspired by their mutual love for Chicago’s Coalfire pizzeria, the couple employed a massive four-ton coal-fired oven for their aptly dubbed restaurant, the first of its kind in the city. Here, they crank the heat up on pizzas, seasonal small plates, vegetables, pastas and more. It’s complimented by European beers, wine on tap and Italian-inspired cocktails, all served in a comfortable 100-seat restaurant housed in the industrial Stocking 51 Building. Fort Louise: Another chef is making moves to Nashville, while maintaining his prominent role in Chicago. Greg Biggers will stay on as executive chef at Cafe des Architectes in the Gold Coast while also serving as chef/partner of a casual restaurant hinged on American comfort food in Nashville’s Inglewood neighborhood. For the chef, an Alabama native, newly opened Fort Louise affords him a unique opportunity to tap into his roots and balance out his fine dining experience with something more low-key. 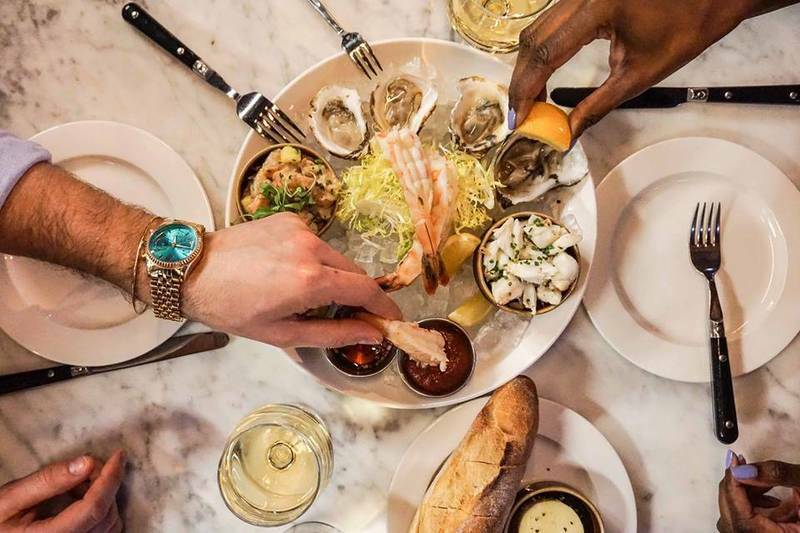 Located in a cottage-like house, the cozy restaurant and bar is quite the juxtaposition to his tasting menu restaurant inside the shiny Sofitel Chicago Magnificent Mile. Here, the focus is on snacks and entree plates for lunch, dinner and weekend brunch.